Bench pressing is often a source of pride and ego for a lot of guys. But more than likely if you have been pressing for awhile you end up reaching a ceiling that is hard to surpass. So what can you do to power past your current best and get into a whole new range of bench press power? Check out some of our secrets and tips to find out! Train your rotator cuffs – The rotator cuff can be a weak link in the shoulder girdle. By incorporating a general strength training program for your rotator cuffs on shoulder day you should see an overall increase in strength as well as a level of stability in balancing and controlling a barbell. 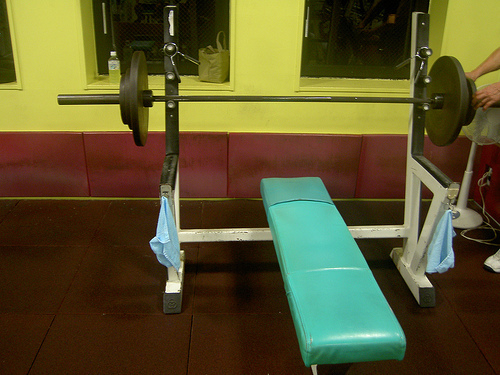 Shore up your form – Bad form equates bad bench pressing. Some people sacrifice form in an effort to lift more weight. While that might work for the short-term, in the long-term it crushes your ability to gain because that improper form means you are not incorporating maximum muscle fiber recruitment in your workout. To help with form do a few workouts with light weight and do 20 repetition sets. Focus on lifting slowly with perfect form including hand placement, elbow movement, lack of arc, and hips down on the bench. Work the negative – Some people have never even heard of negative training. The negative strength of your muscles far exceeds the positive aspect so negative training will allow you more control and support of the weight. Use a smith machine and practice lowering the weight at an extremely slow rate. If you can’t push it back up simply lock the smith machine and slide out from under the bar then raise it up to the start position. Add Pullovers – Dumbbell pullovers are a great and yet underused exercise. It helps stretch the ribcage and works muscles in the chest, back, and intercostals muscles that are all used in the bench press. They are a great exercise to superset with dumbbell flyes. Use Dumbbells – Take a few workouts off from your regular barbell routine and instead use dumbbells for flat bench presses. The dumbbells require that each arm works independently and also requires more input from stability muscles. By strengthening these areas it will make a barbell press easier. Work the Big Two – Always do squats and deadlifts (and barbell rows for that matter) in the rest of your routine. These bread and butter exercises help spur growth in your entire body which will make you stronger in all areas including the bench press. Sometimes by not focusing on a specific lift and instead focusing on the surrounding and supporting muscles you can get the boost you were missing. While trying a new pyramid program just for the bench press is one idea, these tips are designed to make other muscles and tendons stronger which is beneficial to getting huge in general as well as making you stronger overall. This will then equal a bigger bench press. Eli Dowd is a fitness expert and author on bodybuilding topics. 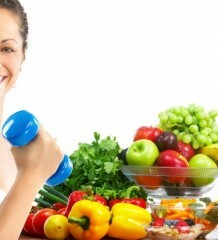 Eli writes for the fitness blog at Nutribomb Discount Supplements. You can also connect with Eli and the other staff writers at the Nutribomb Facebook Bodybuilding Forum.